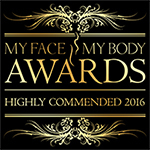 Meon Face is an Aesthetic Clinic offering the very latest techniques in facial rejuvenation carried out by multiple award-winning surgeon Dr Ian Hallam MBE and his dedicated and experienced team. We wish to deliver an unparalleled level of care with the aim of enhancing natural beauty and diminish the signs of ageing. Dr Hallam is a visiting clinical teacher in facial aesthetics for the MSc course in Aesthetics at Kings College London and has lectured at numerous aesthetic conferences. He is an accredited UK trainer for Silhouette Soft thread lifts and a key opinion leader for Venus Viva skin rejuvenation. He is a judge for the MyFaceMyBody Awards USA and Australia and the Aesthetic Dentistry awards and has been invited onto the editorial board of the Aesthetic Dentistry Today magazine. He has had 16 articles and case presentations published.